Alba Power is pleased to announce the signing of a new 5 year agreement with Marathon Oil UK. 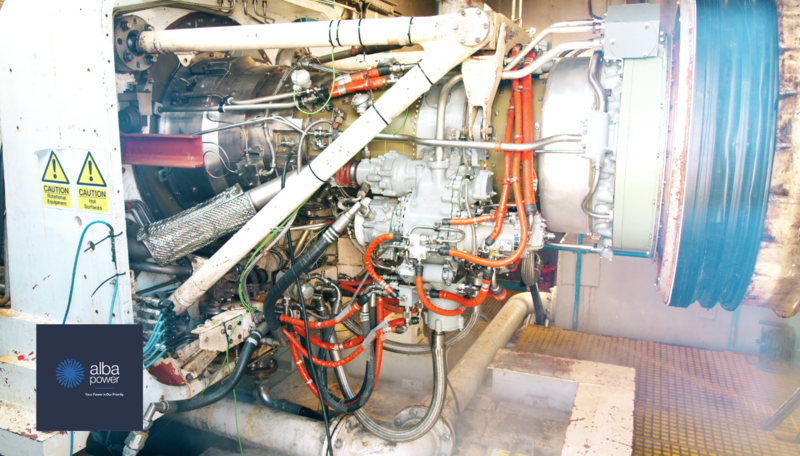 This contract award covers maintenance, repair and overhaul of Marathon Oil’s Olympus SK30 gas turbine packages. 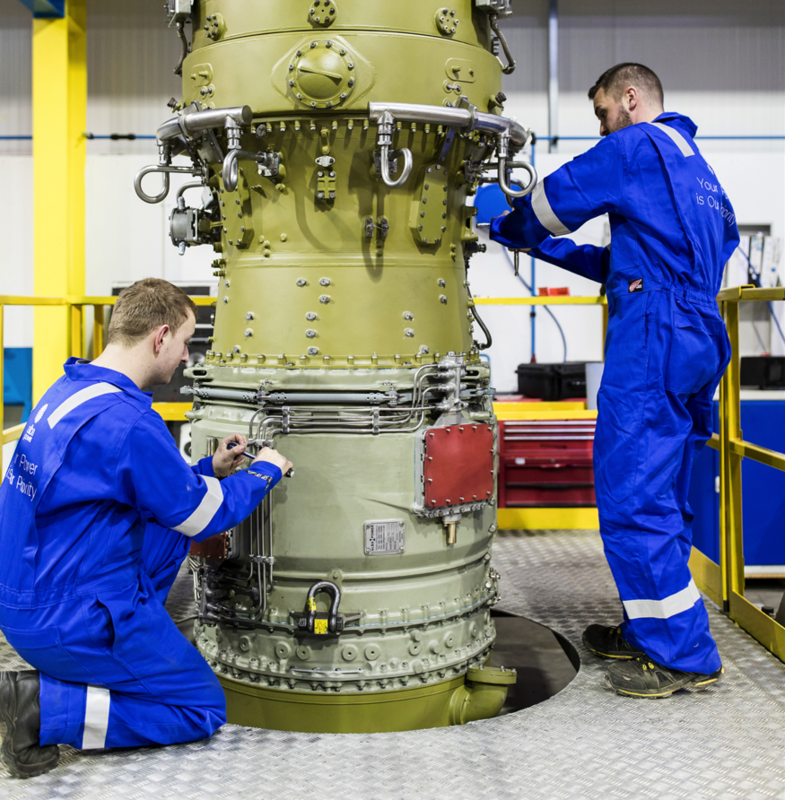 MarathonOil was one the first companies to utilise Alba Power’s Olympus overhaul facilities in 2002 and we are delighted to have continued to work together in strong partnership. Usually at Alba Power our business success is measured by our state of the art test facilities, consistently proving our quality and integrity. This week was slightly different however, in addition to a full performance test, Alba Power successfully trialed an overhauled Marine Tyne at sea. With the full support of our client, Alba Power engineers assisted with removal, installation and commissioning, followed by two days at sea. As a growing part of our successful business, and utilising our unique, independent test facility, the Tyne has proven to be a sea worthy business avenue. 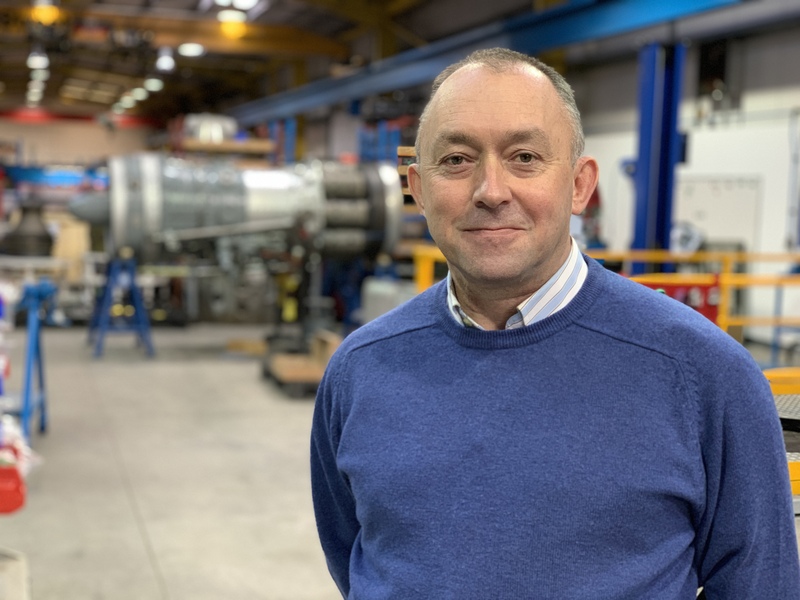 In recent years we have invested heavily at Alba Power and this investment has been rewarded with significant growth in Power Turbine and package support. 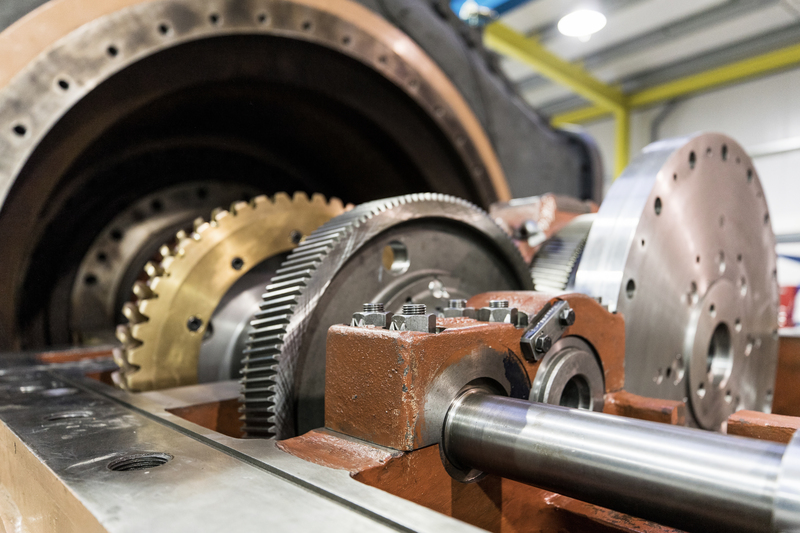 Often overlooked due to TBO, with the Gas Turbine taking the focus, these elements are key to longevity of the package, with correct maintenance, planning and operational integrity, substantial savings can be made. 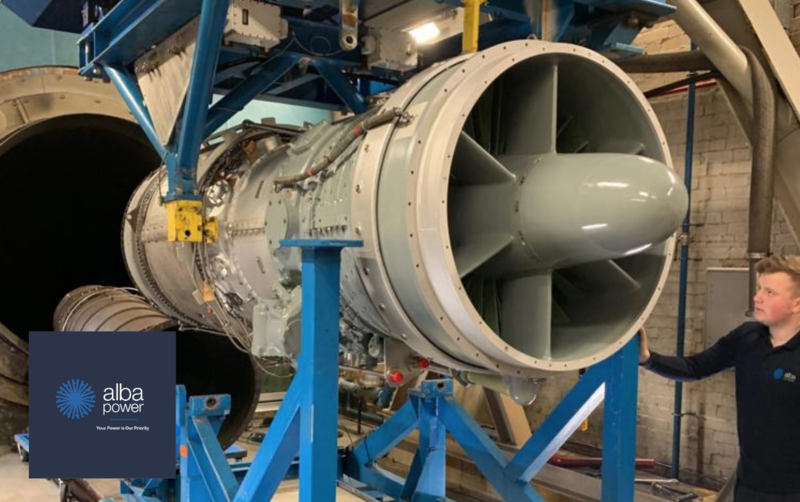 “Utilising our bases in Hamilton Ontario, Houston Texas and Abu Dhabi has allowed reduced costs and immediate support”, commented General Manager & Director, Neil McKenzie. “Many clients have appreciated our support with manufacturers reducing scope in this region of works. Our local tooling and spares have assisted many emergency requirements, with our planning and inspections reducing these for other clients”. Contact us at sales@albapower.com for any RT48, RT48S, RT56, RT61, RT62, EA1, EAS1, EO1, ERB1, SK20, SK30 needs and we would be pleased to arrange a complimentary survey and review of requirements. 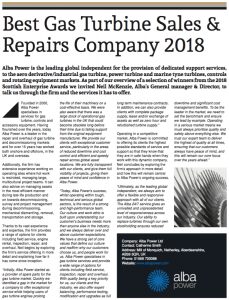 We are very proud to have been named the Best Gas Turbine Sales & Repairs Company 2018 at the recent Scottish Enterprise Awards. 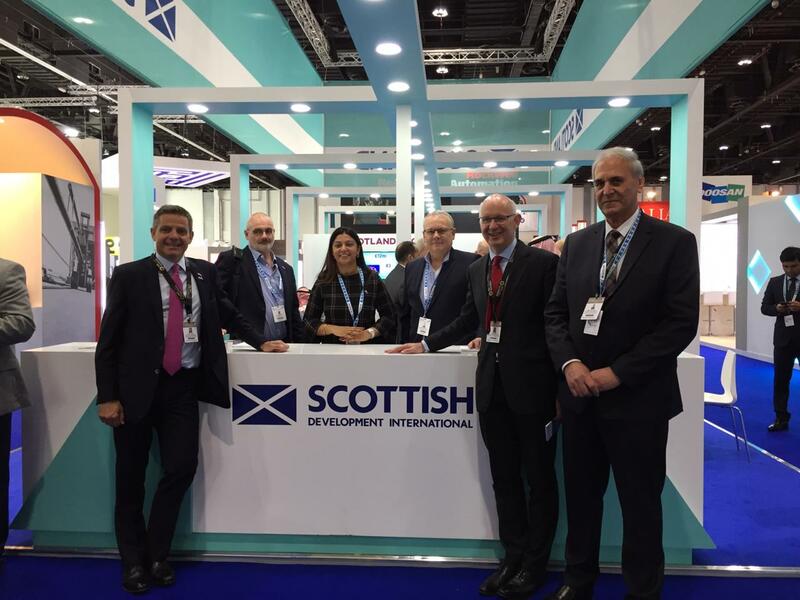 We’ve had an incredibly busy first two days at ADIPEC, alongside Scottish Development International, meeting with suppliers and both new and existing clients. Day one was very well attended and it was a privilege to welcome Simon Penney, HM’s Trade Commissioner for the Middle East, Afghanistan and Pakistan to our stand. ADIPEC runs through to the 15th November and our Business Development Manager, George Kelly will be in attendance throughout the event and would be delighted to meet you and explain more about what Alba Power and its global team can offer you and your business. You can find us at the SDI stand 1210 in Hall 1 and you can contact George at george.kelly@albapower.com to arrange a meeting. We are delighted to be attending ADIPEC in Abu Dhabi for what will be the 5th consecutive year. The event runs from 12th – 15th November and we will be in Hall 1, stand 1210 with Scottish Development International (SDI). We have had a fantastic year of further growth in the Middle East, securing a number of new long term service agreements and extensions to existing agreements. These agreements are supported by our growing and expert field service and engineering teams based in the region. Our Business Development Manager for the Middle East, George Kelly, will be in attendance throughout the event and would be delighted to meet you and explain more about what Alba Power and its global team can offer you and your business. For more information or to arrange a meeting you can contact George at george.kelly@albapower.com. Alba Power are delighted to announce our nomination for a Telegraph Trade Award. We have been shortlisted in the Best International Export SME category and we are looking forward to the attending the awards on 1st November in London. Campbell Archibald, Sales Director and President North America had this to say, ‘We are very proud to have received a nomination for Best International Exporter at this year’s Telegraph Trade Awards. The nomination is yet further testament to our brilliant team based in Scotland and across the globe, our service ethos and the quality of service and responsiveness we offer to all of our clients worldwide’. Alba Power are pleased to announce that we will be exhibiting at The 2nd Annual Middle East, Rotating Machinery Technology and Innovation Conference & Showcase (ME RoTIC 2018) to be held on 25th – 27th September at the JBR – Ritz Carlton in Dubai. Alba Power’s Business Development Manager, George Kelly, will be in attendance all week in Booth B8 and he is looking forward to meeting our expanding regional long term customers, partners and prospective new clients. 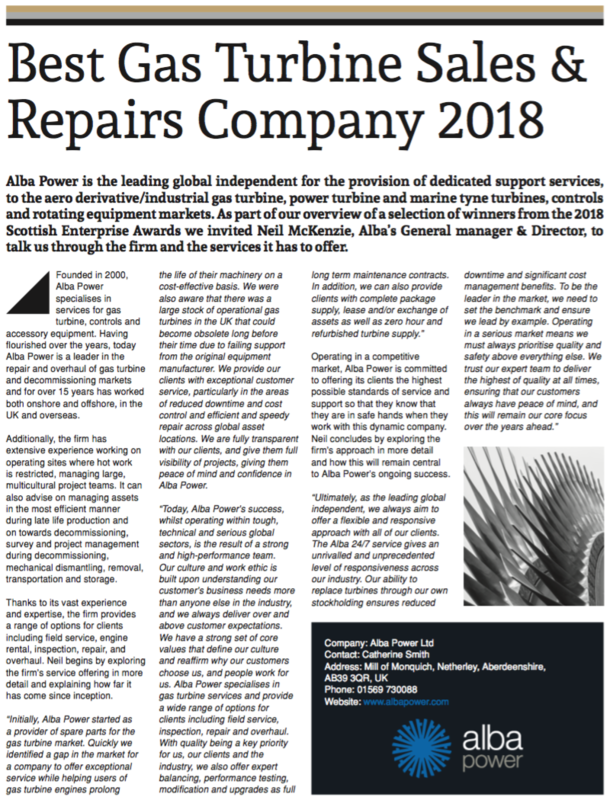 To arrange a meeting please contact George on george.kelly@albapower.com, he would be delighted to meet you and explain more about what Alba Power and its global team can offer you and your business. Alba Power are pleased to announce that we will be exhibiting this week, in conjunction with with our local representative PT. Atamora Tehnik Makmur, at PowerGen Asia 2018 in Jakarta, Indonesia. Alba Power’s Business Development Manager, George Kelly, will be in attendance all week and looks forward to meeting our expanding regional customers and prospective new clients. You can find us at booth G37, located within the Indonesian Pavilion. Please contact George on george.kelly@albapower.com to arrange a meeting.